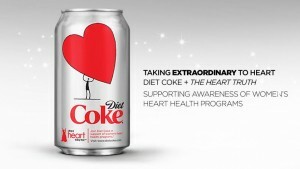 This year, PHAI continued moving cases against Philip Morris and R.J. Reynolds to trial, went to court to tell Coca-Cola and the American Beverage Association to be honest about the link between sugar drink consumption and disease, and have been working on a number of other potential lawsuits with a public health impact. We provided help to communities seeking to adopt and implement tobacco prevention policies, promoted smoke-free housing policies, and are working to disseminate the Tobacco-Free Generation approach to phase out tobacco sales entirely over time. We created and curate a new web-based database of all of the tobacco prevention secondary literature that allows advocates to quickly find current resources and evidence on a range of tobacco prevention topics vital to policy making. 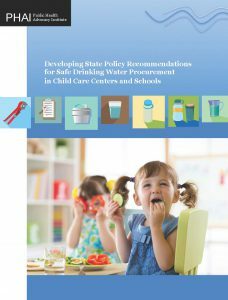 Most recently, we published a report on state policies to help get drinking water to children in schools and childcare centers. PHAI administers the Violence Transformed project which uses a variety of trauma-informed approaches to utilize art creation and expression as a means to reduce the impact of violence in the community. We are currently collaborating with others on a project that is exploring the role that this approach might have in the context of housing insecurity in the Dorchester neighborhood of Boston. We also continue to administer the Beyond OSHA project that works to improve the health and safety of some of the most vulnerable workers in the U.S.. In short, we continue to work our hardest to develop and implement “big ideas for advancing public health and social justice.” We are not afraid to take on the big corporations that profit at a tremendous cost to public health and develop new approaches to make a healthier world. We do this without the benefit of any huge grants or contracts or gifts. While some of our income derives from fee for service work, much of our work is funded only through donations to PHAI from individuals who are passionate about public health. The Public Health Advocacy Institute, Inc.
or contact us for more information at 617.373.2026 or moreinfo@phaionline.org. In 2015, a remarkable program moved to PHAI. Violence Transformed is an annual series of visual and performing arts events that celebrate the power of art, artists and art-making to confront, challenge and mediate violence. Violence Transformed furthers our public health goal of reducing preventable injury. Please consider making a tax-deductible donation to Violence Transformed and invite your friends and colleagues to do likewise. 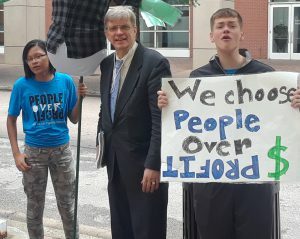 To make an online contribution, please visit our website: www.violencetransformed.com and click on DONATE. I am making this appeal at an exceptional time in the very unique history of Violence Transformed. Now in its Tenth Anniversary Year, Violence Transformed continues to launch an annual (and annually expanding) series of visual and performing arts exhibits and events. 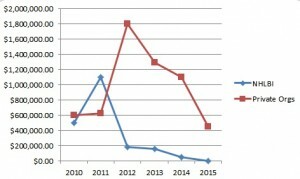 In addition, in 2015 Violence Transformed embraced the goal of broadening and deepening its engagement with the health and public health community — supporting artist-led workshops for health care providers who serve individuals and communities affected by and at continuing risk of violence and identifying violence as a public health issue requiring the attention of communities locally, nationally and indeed world wide. Blessed with a truly remarkable level of collaboration among artists, arts organizations, health and mental health service organizations, and partnering venues throughout Greater Boston, Violence Transformed is growing in ways we never anticipated and is attracting the interest of artists and organizations beyond Boston and indeed beyond our nation’s borders. Please keep visiting our website to keep track of current and upcoming events and to look at the works already brought to Boston this year. There you can also view a digital archive of Violence Transformed activities from 2007 forward. All in all, Violence Transformed is exhilarating, fulfilling …and daunting! While we continue to seek grant funding where available, none of what we have done could have been done without the tremendous volunteer energy, commitment and passions of participating artists, curators, academics, social activists and sponsors. 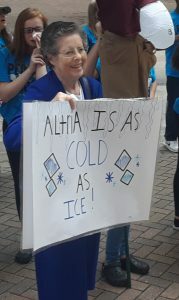 Nor can it be done without significant financial assistance from donors who believe in Violence Transformed and have stepped up to contribute whatever they can. We use your donations to: support our curators and our website and social media staff, to award Artist Honorariums if and as we are able to do so, and to publicize the work and cover the growing operational costs of Violence Transformed. We can always use large donations, of course, but we welcome donations of any size. We are proud that at 80% of the funds we bring in do go directly to artists, curators and arts organizations that affiliate with us. So …. thank you for whatever you are able to contribute and for whatever help you can give us by passing the word of this unique enterprise on to others who might be interested in supporting our work. I hope that you are proud of what we do and of your role in contributing to Violence Transformed. 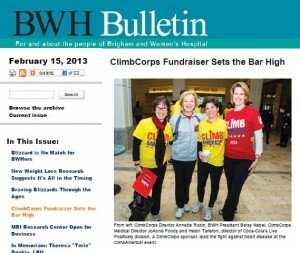 On page 1 of the Sunday Metro section of the April 12, 2015 Boston Globe, there appears an article entitled, “Group’s lawsuits aim to boost public health.” The piece, by health care reporter Felice J. Freyer focused on litigation as a public health strategy and PHAI’s Center for Public Health Litigation recent lawsuits against tobacco companies and stores that have allowed lottery vending sales to kids. Center attorneys are hopeful that this news coverage will encourage Massachusetts tobacco victims to contact the Center as well as potential plaintiffs or partners hoping to end deceptive practices by food marketers, tanning salons and other deceptive conduct that negatively impacts public health. Friedman and her co-authors examined the tobacco industry’s use of personal responsibility arguments to avoid its own responsibility for the harm its products cause. In examining the specific language and rhetoric Big Tobacco employs, the study found that the industry rarely uses the phrase “personal responsibility” explicitly, but rather the expression “freedom of choice.” When the industry uses the term “freedom of choice” in the context of litigation, it means that those who choose to smoke are solely to blame for their injuries. When the phrase is used in the industry’s public relations messages, it grounds its meaning in the concept of liberty and the right to smoke. The study examines and illustrates how courtroom “blame rhetoric” has influenced the tobacco industry’s larger public relations message to shift responsibility away from the tobacco companies and onto their customers. Understanding the rhetoric and framing that the tobacco industry employs is essential to combating this tactic, and can be applied to other industries that act as disease vectors. Industries who manufacture and sell products that pose a threat to public health, such as junk food, sugar-sweetened beverages, alcohol, dirty energy and electronic gambling machines, have adopted Big Tobacco’s well-developed strategy for staving off regulation, litigation liability, and social denormalization and stigmatization. The lessons learned from studying the tobacco industry’s use of personal responsibility rhetoric can contribute to developing a broader movement to use public health advocacy and interventions to change corporate malfeasance and behavior that threatens the public’s health. Citation: Lissy C. Friedman, Andrew Cheyne, Daniel Givelber, Mark A. Gottlieb, and Richard A. Daynard. Tobacco Industry Use of Personal Responsibility Rhetoric in Public Relations and Litigation: Disguising Freedom to Blame as Freedom of Choice. American Journal of Public Health: February 2015, Vol. 105, No. 2, pp. 250-260. Today, the Public Health Advocacy Institute at Northeastern University School of Law, is releasing the issue brief Copycat Snacks in Schools on the food industry’s recent push to market popular junk food brands in schools. As noted in today’s New York Times story by Michael Moss entitled “The Domino’s Smart Slice Goes To School,” PHAI has called upon the USDA to address branded junk food marketing in schools. Starting July 1, 2014, all foods sold outside of the National School Lunch Program, such as food from vending machines and school stores, will have to meet United States Department of Agriculture “Smart Snacks” nutrition criteria. Not wanting to lose an in-school marketing opportunity, major food companies like PepsiCo are producing reformulated versions of popular junk foods like Cheetos® and Doritos® that meet the Smart Snacks criteria, but use the same brand names, logos and spokescharacters as are used to market traditional junk food. For example, PepsiCo produces and markets to school food service directors a product called Cheetos® Flamin’ Hot Puffs Reduced Fat. This product meets the USDA Smart Snack guidelines, but it is not widely available for retail purchase outside of schools. 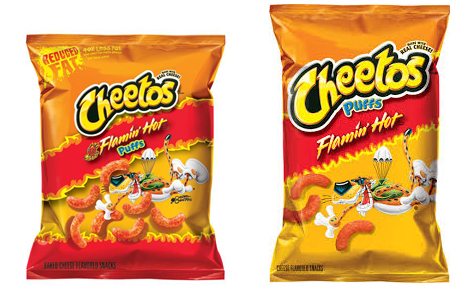 Instead, PepsiCo offers Cheetos® Flamin’ Hot Puffs to the broader public. As you can see below, the product packaging is almost identical. Copycat snacks like reduced fat versions of Cheetos® products are not widely available for purchase outside of schools and are clearly designed to co-market traditional junk food to children in school. The issue brief describes copycat snacks, how they undermine nutrition education efforts, and what can be done to stop the sale and marketing of these products in schools. 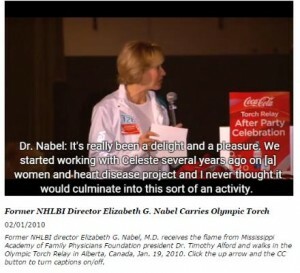 Fast-food companies emphasize toy giveaways and movie tie-ins rather than food products when marketing to kids on television, which suggests that industry is not abiding by its self-regulatory pledges for child-directed marketing, according to a study co-authored by the Geisel School of Medicine at Dartmouth and the Public Health Advocacy Institute at Northeastern University School of Law. The study, “How Television Fast Food Marketing Aimed at Children Compares with Adult Advertisements,” is published in PLOS ONE and found that among ads for children’s meals, toy giveaways appeared in 69 percent of ads and movie tie-ins were used in 55 percent of ads. Sargent and his colleagues examined all nationally televised ads for children’s meals by leading fast-food restaurants for one year, from July 1, 2009 to June 30, 2010. They compared ads for kids with ads for adults from the same companies to assess whether self-regulatory pledges for food marketing to children had been implemented. Nearly all (99%) of the ads that aired during the study period were attributable to McDonald’s (70%) and Burger King (29%). McDonald’s had the strongest emphasis on the children’s market, with 40% of its 44,062 ads aimed at kids, compared to 21% of 37,210 aired ads for Burger King. Seventy-nine percent of the fast-food ads aimed at kids aired on only four channels: Cartoon Network (32.3%), Nickelodeon (18.3%), Disney XD (16.2%), and Nicktoons (12.4%). Images of food packaging were present in 88 percent of ads directed at kids and 23 percent of ads for adults. A street view of the restaurant appeared in 41 percent of ads directed at kids and 12 percent of ads for adults. Food images averaged 20 percent of the screen diagonal in kids’ ads, but 45 percent of the screen diagonal in adult ads. Leaders of the food and beverage industry have publicly recognized the need to reform marketing practices targeting children. In 2006, the Council of Better Business Bureaus launched the Children’s Food and Beverage Advertising Initiative (CFBAI), a voluntary pledge by major U.S. food manufacturers to advertise only healthier products to young children. McDonald’s and Burger King participate in the CFBAI. Both companies also have pledged to abide by marketing guidelines set by the Children’s Advertising Review Unit, which include a provision stating that food—not toys or other promotions—should be the primary focus of ads directed at kids. A recent report by the Federal Trade Commission found that among all U.S. food and beverage companies, fast-food companies spent the most on marketing directed at youths ages 2 to 17—more than $714 million in 2009. The report also found that fast-food companies have dramatically increased their spending on television ads and new media targeting kids ages 2 to 11. Further analysis of that report shows while some fast-food restaurants slightly improved the nutritional quality of kids’ meals, the number of child-directed television ads for other higher-calorie meals and menu items more than doubled from 2006 to 2009.